UMYU second Post-UTME screening form for 2017/2018 academic session has been extended. 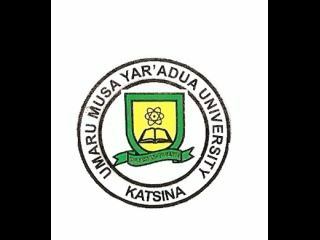 Umaru Musa Yar’adua University informs candidates who applied for admission into Umaru Musa Yar’adua University for the 2017/2018 Academic Session who had successfully registered or are registering for the 2nd post UTME screening and aptitude Test, that the University Management had approved the extension of earlier scheduled date for the screening & aptitude test from 25th November 2017 to 9th December 2017. Similarly, Candidates who scored UTME 170 JAMB points and above who have not chosen the University as their first choice but are willing to study at Umaru Musa Yar’adua that they can also register for the screening and aptitude test using the web based platform provided for the exercise. The online registrations for POST UTME candidates commences on Monday 6th November, 2017 and ends on Thursday 23rd November, 2017 through http://portal.umyu.edu.ng/application. Scored a minimum of 170 marks and above in the 2017 UTME Examination for candidates whose first choice institution is not Umaru Musa Yar’adua University. Accordingly, the screening and aptitude test for the POST UTME candidates is scheduled to hold on Saturday 25th November, 2017. NOTE: Direct entry candidates are also informed to register online and come for the screening after they had gained admission in to the University.